Unique handmade item - it's a DyeMonster! $33.00 Hurry, only 1 remaining! Our ONLINE store is on vacation until September 16 as we are doing live shows and events and cannot guarantee availability of inventory until afterwards. Look for us at Art in the Park (Richland WA) and Tumbleweed Music Festival to get a shirt from us in person. Online sales will resume September 17, 2018. 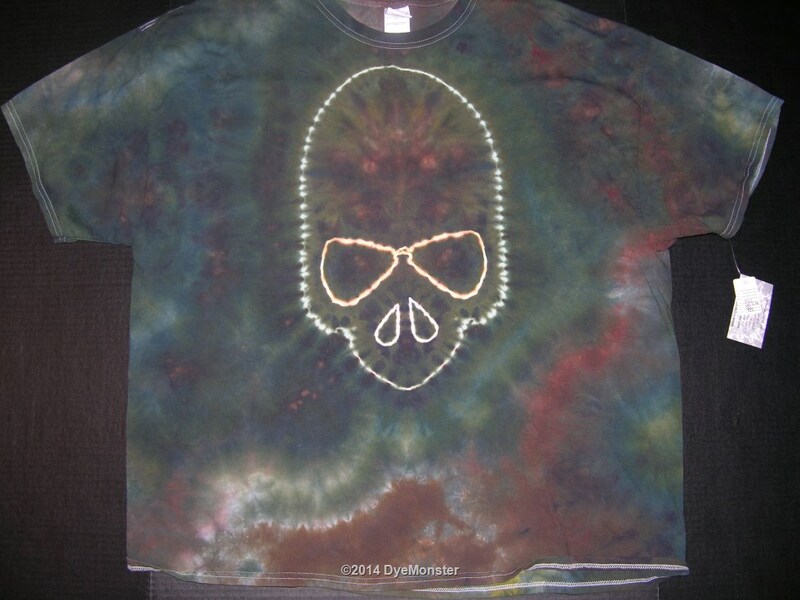 Adult 3XL Gildan 100% cotton t-shirt tied and dyed with Procion-type fiber reactive dye by Greg Anderson during the Summer of 2014. No two are exactly alike, you are buying a unique piece of artwear - this is the exact shirt you will receive.